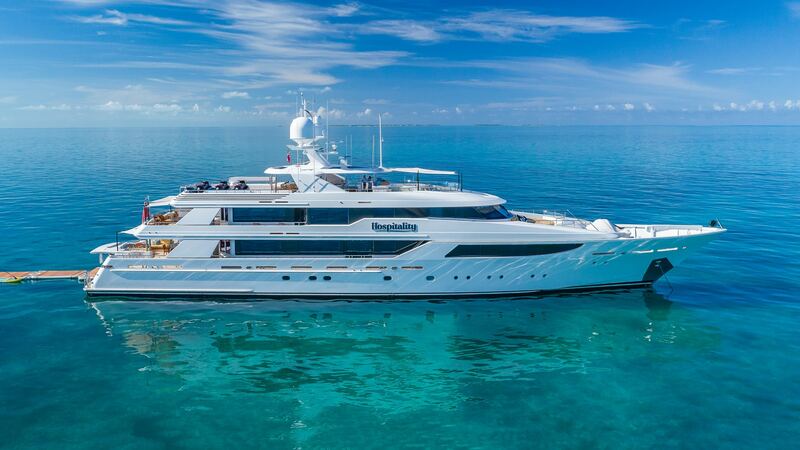 The 164′ (50m) Westport HOSPITALITY was launched in 2011 and underwent a soft goods refit in 2018, creating a more modern and comfortable interior. This magnificent yacht features accommodation for 12 guests in 8 spacious staterooms, offering tremendous flexibility to charter guests. With a transatlantic range of 4000 nautical miles, HOSPITALITY was designed to visit some of the most remote destinations in the world with limited stops. Twin MTU 16V4000 M90 engines allow her to easily reach a top speed of 24 knots.